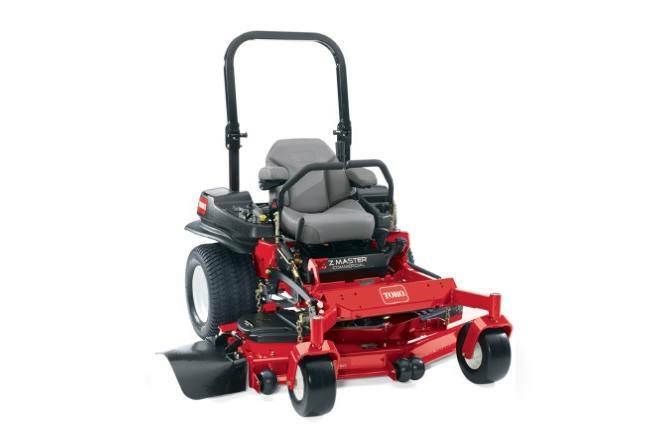 Z Master® Professional 5000 - 27 hp (20 kw) Kohler® Command Pro 725cc Engine with 60 in (1.5 m) TURBO FORCE® deck. A Flat Crisp Cut with Precision Blades: (.250) thick precision blades resist flexing to provide a flat, crisp cut. High-strength, heat-treated alloy steel survives impacts and provides resistance to the rapid wear commonly associated with abrasive conditions. Folding Rollover Protection System ROPS: A Rollover Protection System (ROPS), complete with seat belt, comes standard for operator protection in the case of accidental rollovers and tip overs. In situations where sufficient vertical clearance is not available, such as loading on an enclosed trailer, the ROPS can be temporarily unlocked and folded down.